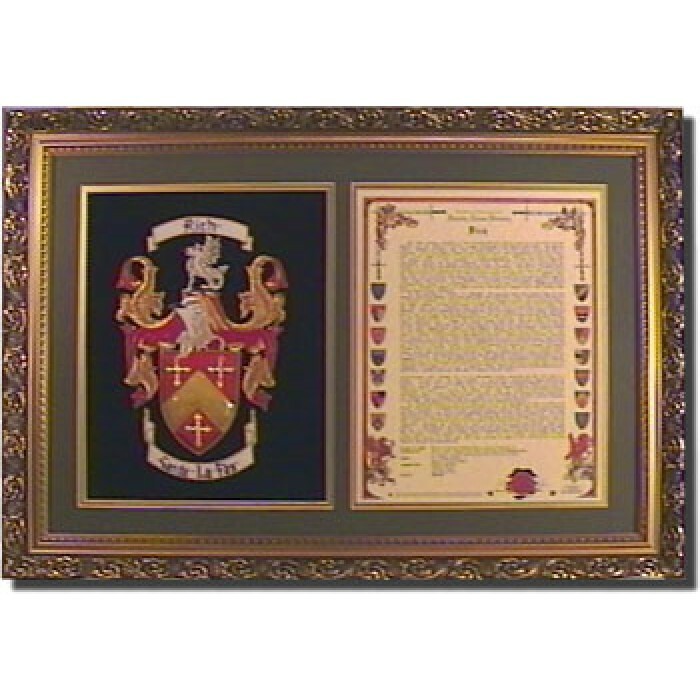 This magnificent work comprises our largest hand embroidered Coat of Arms and the Masterpiece family history document matted in one period style frame. It is most suitable for a property of large proportions as the effect is stunning on a large scale. The craftwork is of the highest quality and represents weeks of painstaking needlework. This is a family heirloom in the making to be kept in the family for generations to come.